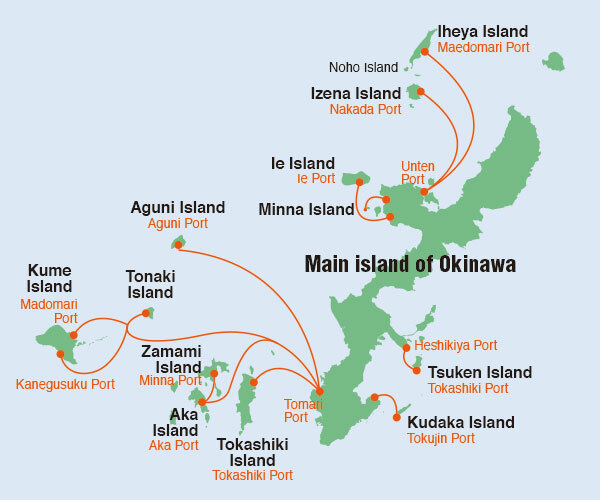 For access to Tokashiki Island, the Tokashiki ferry and marine liner are available, with both departing from the North Pier (Hokugan) of Tomari Port. 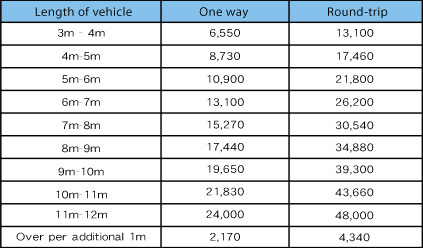 *Children’s fares are for passengers aged 6 to 11 years old (elementary school students). *An environmental protection tax of 100 yen/round trip will be added to the fare (not applicable for ages 15 and under.). *Cargo must be cleared 30 minutes before scheduled departure time. *Please be onboard the vessel at least 10 minutes before scheduled departure time. *Tickets can be conveniently purchased from the ticket shop on the North Pier, located in front of the terminal. *Children’s fares are for passengers aged 1 to 11 years old (elementary school students). *An environmental protection tax of 100 yen/round trip will be added to the fare (not applicable for ages 15 and under). At peak times, including Golden Week (running from the last week of April until the first of May) and summer vacation, the ferry and marine liner run more frequently. 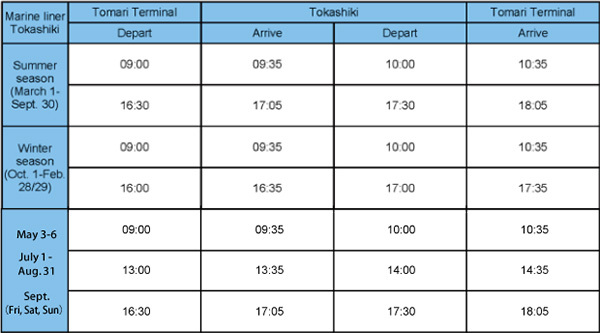 Please check the official website of Tokashiki Village to confirm seat availability and the latest schedule.